The plaintiff, in response, asserted her testimony for all of the bills sufficed since she connected the bills to the treatment received and connected the treatment received to the injuries sustained. The trial court agreed with the plaintiff and denied the defendant’s motion for a directed verdict on that issue, concluding that the combination of the plaintiff’s lay testimony, the surgeon’s testimony, and the bills admitted into evidence established the reasonableness and necessity of the bills. The Fourth District Court of Appeal upheld the trial court’s decision on that issue and it is now established that reasonableness and necessity of past medical bills can be proven by testimony and entering medical bills into evidence. On the issue of causation and permanency, the defendant then claimed on appeal that the defendant was prejudiced by treating surgeon’s testimony as an expert. The defendant asserted that because the surgeon was not designated as an expert on the witness list and because the plaintiff did not proffer the requisite information, such as the surgeon’s curriculum vitae and his area of expertise, the surgeon should not have been allowed to testify as an expert. The court noted that the defendant very well knew that the surgeon was listed as a witness who would testify as to the permanency and causation of the injury, yet did not bother to depose him whatsoever before trial. Regardless, the defendant was allowed to introduce his own expert who refuted all of the surgeon’s testimony anyway, so no harm was done. Further, the appellate court found that the defendant had not even complied with the trial court’s order himself, and thus, there was no prejudice to the defendant caused by the surgeon being an undisclosed witness. In short, we learn two important lessons from this case: 1) testimony coupled with entering past medical bills into evidence is sufficient to establish the reasonableness and necessity of past medical bills, and 2) when pointing to opposing counsel’s lack of adherence to the trial order, make sure your hands are clean too. 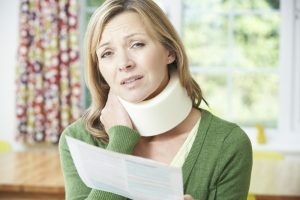 At The Grife Law Firm, we are proud to be of service to those seriously injured due to car accidents, truck crashes, medical malpractice, nursing home neglect and slip and fall accidents. Call our Boca Raton office at 561.998.0770 for a free consultation.